Thermostatic Bimetal Manufacturer In India is a laminated composite material that usually consists of two firmly joined metals or metal alloys with different rates of thermal expansion. In case of temperature changes the strips, disks or parts change their shape in a defined way. If this change in shape is suppressed, a setting force is obtained which can be used for a mechanical displacement. By combining it with cladding and intermediate layers certain properties such as electrical resistively, corrosion resistance etc. can be deliberately influenced. By joining different materials with different properties it is possible to manufacture, or even develop deliberately new materials with new properties. This is a long-established process. About 2,500 years ago the so-called DAMASCUS STEEL BLADES were produced in the Orient. The two steel qualities used in production (soft easily formable iron and hard brittle iron) were joined firmly together by forging. The famous DAMASK PATTERN was achieved by multiple folding, intermediate annealing, and hammering. 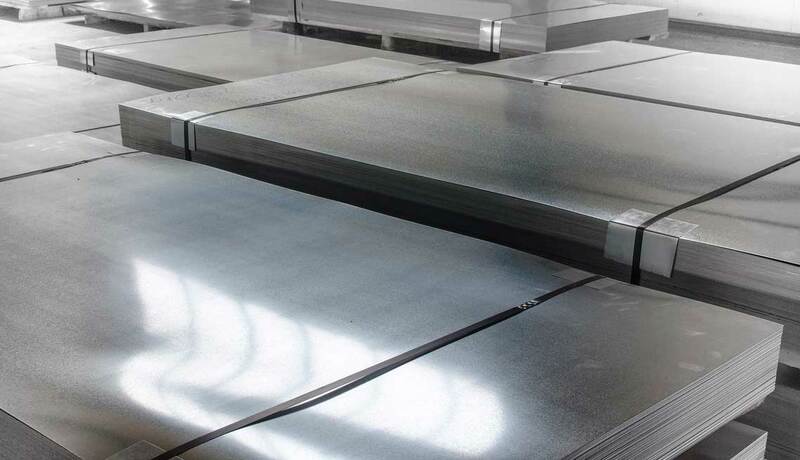 Industrial processes for the manufacture of clad materials are cast cladding, hot roll bonding, press bonding, cold roll bonding, and explosion bonding. The company Auerhammer Metallwerk GmbH has exclusively used cold roll bonding on a large scale since 1984. 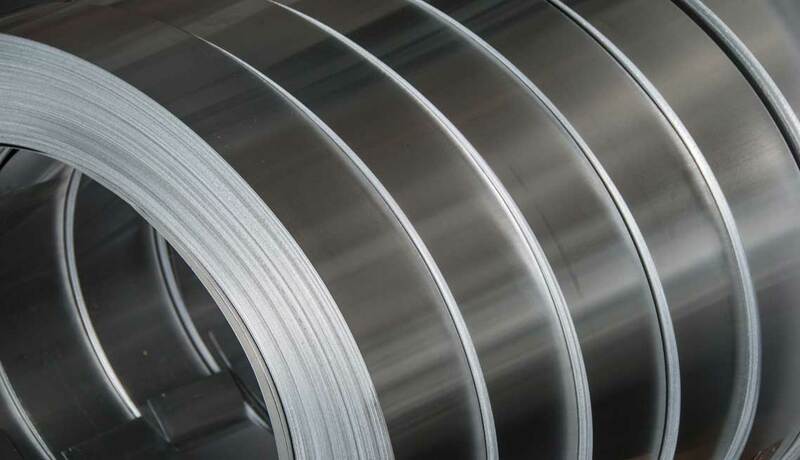 The term soft magnetic strip stands for FeNi-alloys with a Ni-content of 35 – 81 %. The Normaperm-Alloy (35 – 40 % Ni) stands out by its particularly low rise in permeability in the range of magnetic field strengths of up to 100 mOe. Alloys with a content of 45 – 55 % Ni show a relatively good initial permeability and a high saturation induction. Alloys with a content of 76 – 81 % Ni have high initial permeability values. 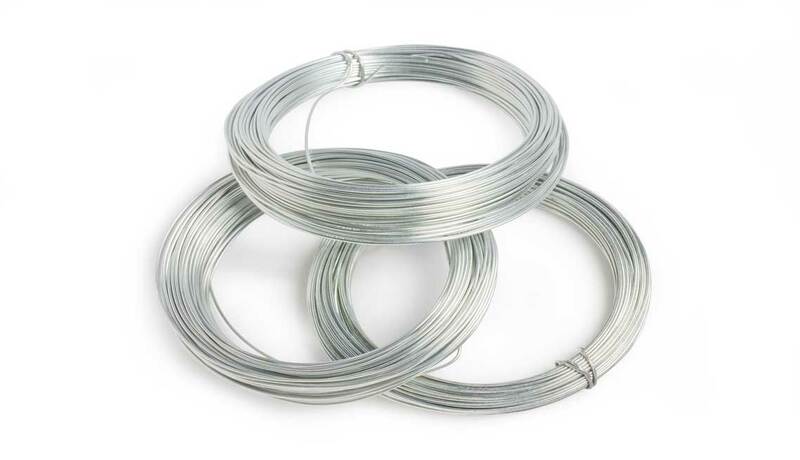 This group of alloys is used for DC relays as well as core laminations for transformers and chokes in communication and electronic facilities. Another field of application for alloys with 76 – 81 % Ni-content is the magnetic shielding of devices, components or control elements. This product group includes materials based on FeNi, FeNiCr and FeNiCo and feature a controlled thermal expansion with linear coefficients of expansion of nearly zero up to about 12 x 10-6/K within a determined temperature range. The selected alloys have proven to be the standard alloys and cover the common area of sealing and expansion alloys of low thermal expansion. Depending on the respective characteristic thermal expansion properties, the materials are suitable for bonding with hard and soft glasses or ceramics. The criterion for such bond is that it must have a specific strength but only a minimum of internal stress and in many cases it has to be vacuum-tight. Therefore it is required that the individual components, i.e. metal-glass or metal-ceramics, ideally have corresponding thermal expansion qualities. The choice of alloys in this product group meets the whole range of known technical applications with regard to the requirements to sealing and expansion materials. The materials have good forming properties, are cold workable and show a good deep drawing quality. Due to their strength characteristics, these alloys behave during metal cutting like austenitic steels. Welding and soldering are possible without particular difficulty. The materials are mainly used for the manufacture of stamping, etching and deep drawing parts. An increased use in apparatus engineering and tool manufacture is noticed. Nickel has been used as coinage metal for several thousand years without knowledge of the metal itself. During copper ore mining in the Middle Ages it was just considred to be a waste by-product. It was not before 1751 when the Swedish mining engineer Lord Axel Fredrik Cronstedt succeeded in extracting nickel as an individual element from nickel ore. Larger mining areas of nickel ores are to be found in Canada, Russia, Australia, and Cuba (estimates range from 70 – 170 million tons). Nickel is a silvery-white metal that features good workability and electrical conductivity. 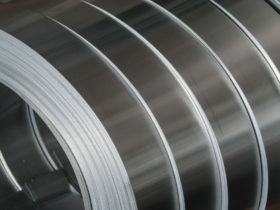 NiCr-, NiCrFe- and NiMoCr-alloys and their welding fillers are grouped together under the name Chronin or Ferrochronin. This group of alloys has particularly good corrosion resistance properties. The Ferrochronines (NiCrFe-alloys) are corrosion and heat resistant alloys that are mainly used in parts for the construction of furnaces, reactors and chemical apparatus or in the automotive industry. The Chronins (NiCr- and NiMoCr-alloys) excel with their good resistance to acids; they are commonly used in chemical plant engineering. In addition to this, these alloys are used in the manufacture of components for the automotive industry and for plant and marine engineering. The welding fillers are mainly processed into strip and cored wire electrodes that are used for submerged arc welding of parts for chemical tanks or reactors. 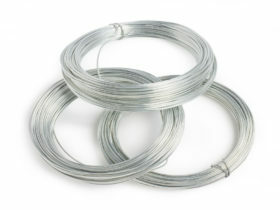 NiCu-alloys and their welding fillers have a Ni-content of 50 – 70 % and are grouped together under the name Silverin. Silverin 404 (NiCu45) is used for electronic parts due to its low magnetic permeability. Silverin 400 (NiCu30Fe) features an excellent resistance to hydrofluoric acid and to seawater corrosion. Fields of application are plant and apparatus engineering as well as shipbuilding. 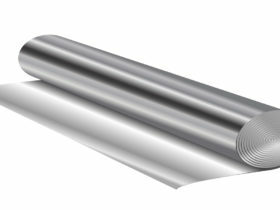 Silverin 500 (NiCu30Al) is age-hardenable thanks to its increased aluminum and titanium content. The final hardness ranges from 24 – 44 HRC depending on the material condition before hardening. The main field of application of this alloy are Doctor Blades used in the paper manufacturing industry. 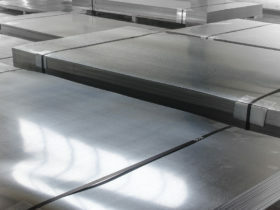 This alloy is also used in shipbuilding. 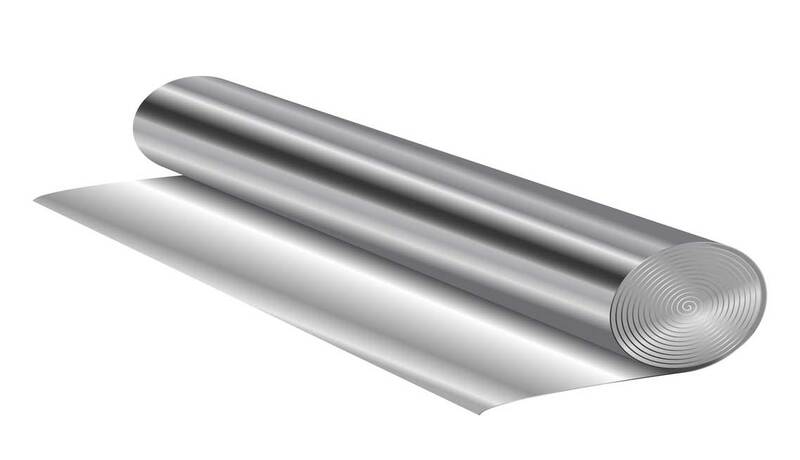 IGS-Silverin 418 is a welding filler that is processed into strip electrodes which are used for submerged arc welding of parts for chemical plant engineering and marine engineering. Copper and nickel are miscible due to their crystal structure. ; the whole alloy area shows a single-phase, face-centered cubic lattice. With an increased nickel content the red colour of the copper turns into the bright silvery of the nickel. The same applies to the magnetic property. The ferromagnetic range of this alloy group starts at about 40 % nickel content. The electric resistance reaches its maximum of approx. 0.5 µ Ohm* with about 50 atomic-% nickel. Another particularly important property for application is the high chemical resistance. In oxidizing media the nickel is passivated, which grows with increasing nickel content. This effect can even be intensified by adding manganese and iron to the alloy. Manganese compounds have been used by man for thousands of years. The ancient Egyptians and Romans used manganese compounds for dyeing in glass manufacture. In 1774 Johann Gottlieb Gahn succeeded in extracting pure manganese from brownstone. In the structure of the earth’s crust manganese is the second most common heavy metal after iron. Important manganese ore deposits are to be found in South Africa, Australia, India, China, Mexico, Ukraine and Russia amongst others. “Manganese nodules” can also be found in the deep sea. Manganese is a grey-white, hard heavy metal. In the air it remains stable by the formation of an oxide film. Due to its high affinity to sulphur and oxygen it is a vital element for the metal industry. The metallic foils we offer are mainly produced from stainless steels, FeNi-alloys, nickel and nickel-alloys as well as copper-alloys. They are manufactured for special applications according to an individual customer’s requirements. The use of stainless steel foils includes precision gauge tapes, speech diaphragms, springs and spacers for thermopane glazing. An application of nickel foils are bursting disks as well as parts for medical equipment. Magnetic foils are used for cable shielding, capacitor parts as wells as parts for hearing aids. It is also possible to process precious metals (such as silver or silver solder) in foil form on a subcontract hirework basis.